At 4 p.m. (2100 GMT), the Canadian dollar was trading 0.1 percent lower at 1.3300 to the greenback, or 75.19 U.S. cents. The currency, which touched on Friday its weakest intraday level in two weeks at 1.3329, traded in a range of 1.3261 to 1.3319. 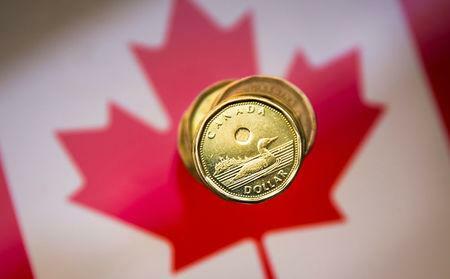 The two-year fell 4 Canadian cents to yield 1.792 percent and the 10-year declined 25 Canadian cents to yield 1.910 percent.